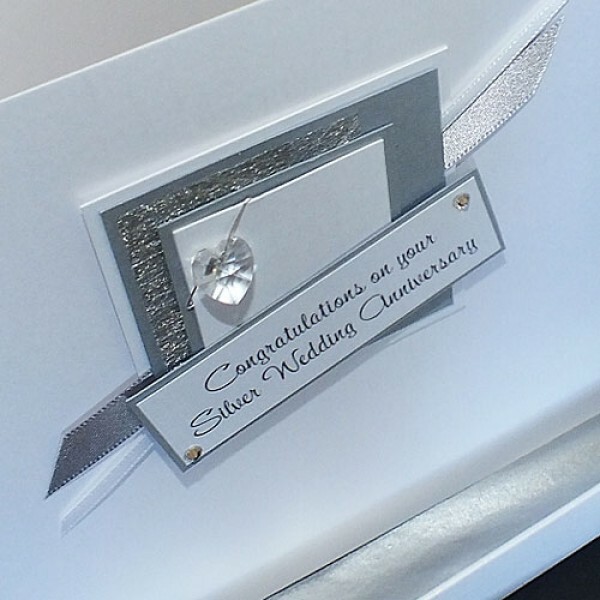 A Swarovski crystal heart mounted on lovely pearlescent card and embellished with Swarovski diamontes. A simple, classy design. The card contains a blank pearlescent insert. 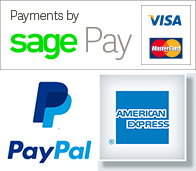 If you would like the insert printing, please enter your message in the box when you place your order. 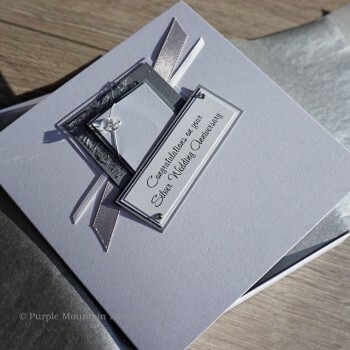 The card in the picture reads 'Congratulations on your Silver Wedding Anniversary'. 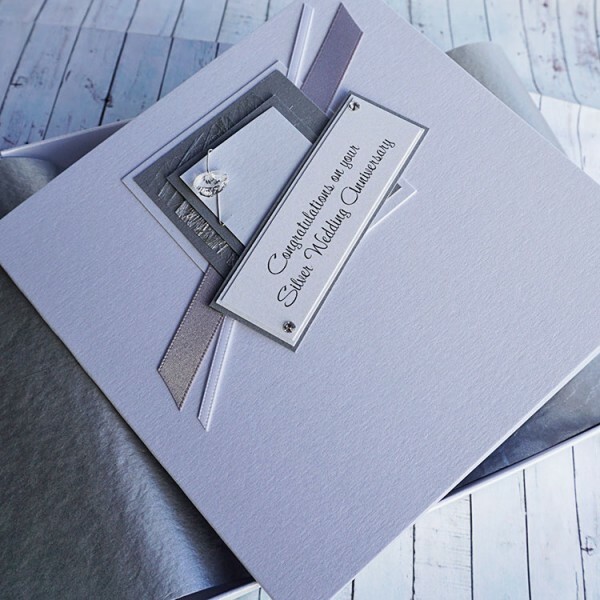 The card is also suitable for other wedding anniversaries, wedding day, engagement cards, birthdays and other special occasions - please enter your own choice of wording for the front of the card in the box at checkout .